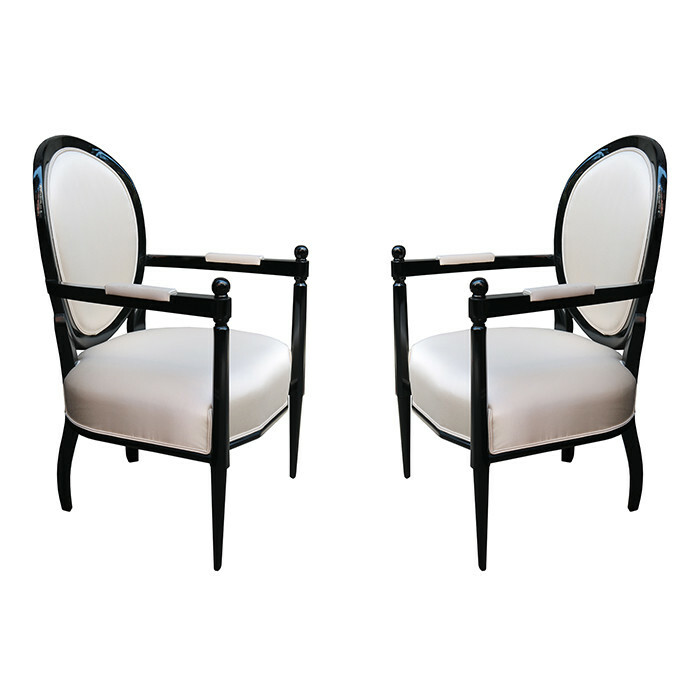 Pair of Neoclassically inspired ebonized armchairs designed by Maison Jansen. Ebonized fruitwood. Dimensions: H:39½ W:24 D:24 Seat H:17½ Inches.